Passionate about costume and creativity, Virginia set up Limelight in 2006, where she gathered a group of like-minded talents to provide a complete range of quality costume services to Broadway organisations and the global entertainment industry. As someone who never settles for the ordinary, she started her career as a Costumier for various US Broadway productions and later participated in different shows and productions in the US after graduating from the Hong Kong Academy for Performing Arts. With broadened horizons, Virginia never forgot her roots and was determined to use her costuming skill and knowledge to contribute to the local art scene. When she returned to Hong Kong, she took up the position of Costume Director at Hong Kong Ballet, where she designed and constructed costumes for renowned productions including The Sleeping Beauty, The White Snake, The Nutcracker, The Lady of the Camellias and Giselle, etc. She was also awarded Hong Kong’s Best Costume for her work in Legend of the Great Archer. After gaining diverse theatre knowledge and experience, Virginia decided to take on new challenges to work in the theme park industry. She joined the Creative Costuming Opening Team at Hong Kong Disneyland (HKDL) to oversee the park’s costuming development and operation prior to the establishment of Limelight. Working with HKDL was an eye-opening experience, where she had the privilege to meet, work with and learn from some of the most inspirational people. Her aspiration for unique and meaningful costumes, coupled with local influence and extensive costuming insights and experience, inspired her to bring Hong Kong costumes to the world stage. Fueled by her passion and commitment, Virginia modestly claimed that being in the right place at the right time with the right people led to the birth and growth of Limelight. As a resourceful, reliable and flexible leader, Daphne has a unique mix of professional experiences in costuming, with practical experience working in theatre-related performance and entertainment fields. She holds a BA (Honours) in Costume and Make-Up for the Performing Arts from London College of Fashion and an MFA degree from Royal Melbourne Institute of Technology University. Daphne previously served as the Head of Costume Manufacturing at Cirque du Soleil, responsible for various notable productions including Zaia, Mystère and O. She then held the role of Manager of Wardrobe Production with Wynn Palace in Macau, where she managed the manufacturing plan of all uniforms in the hotel before joining Limelight. At Limelight, sharing her knowledge and experience, she is responsible for directing all facets of the costume design & production process across the disciplines of design creative, prototype experimentation, design execution, costume production, as well as budget review and analysis. She also plays a role in providing consultation and coaching to clients on costuming. Angel graduated from the University of Manchester, with a bachelor’s degree in Management (Marketing) and later earned her master’s degree in Global Fashion Supply Chain Management at The Hong Kong Polytechnic University. Her major responsibilities include project management as well as identifying, planning and driving the development agenda and new business opportunities for Limelight. Angel describes her role as a bridge builder, as she serves as a direct link between the company and its clients while maintaining effective communication between departments within the company. Her high-energy and bubbly personality brings warmth and fun to Limelight and its clients wherever she goes. With a keen eye for detail, artistic versatility, and strong work ethic, Wing plays a key role in bringing Limelight’s creative projects to life. 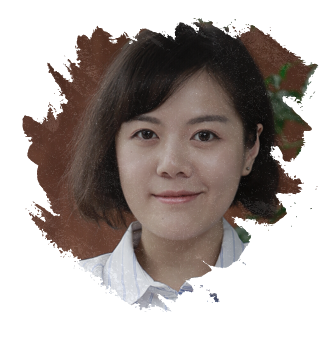 She manages and oversees the production flow, from design analysis, budget estimation, material and construction experimentation to final finishing. Having majored in Set and Costume Design at The Hong Kong Academy for Performing Arts, her strength initially lied in the former. Her natural love for beauty allowed her to apply her talents to costume design and development. After graduation, she joined Limelight, where she extended and refined her knowledge and skills in design execution. She has worked on costumes for theatre, opera, cinema, dance and circus worldwide. Of which, one of the most memorable productions was Voyage de la Vie in Singapore, it was her first experience engaging in a circus show. They had to work closely with the performers during the process of building highly sophisticated costumes, which are a balancing act of aesthetics, comfort and functionality. She is mostly inspired by dance performances, especially contemporary ballet as she finds the contours and contortions of the body fascinating. More importantly, they demonstrate the inseparable relationship between costume and the performer’s body in performance art. Through social media, she also discovers the latest ideas and techniques by engaging with costume makers and designers from around the world. 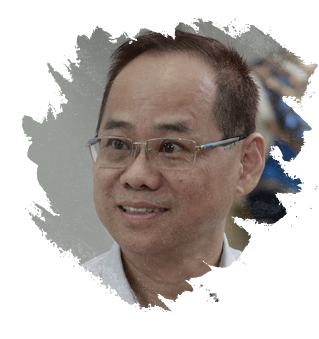 Sam has 40 years’ work experience in textile and garment industry. He is responsible for the leadership and planning of day-to-day operations of the workroom at Limelight. As a quality control gatekeeper, he ensures our high-quality deliverables are made with meticulous craftsmanship. 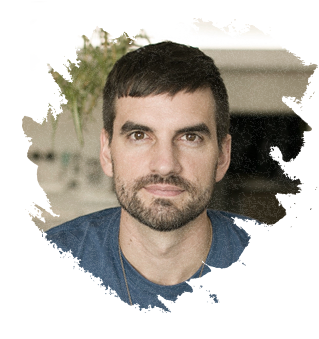 Sam began his career as a tailor’s apprentice for customised women’s wear before working in fashion and textiles to oversee garment manufacture during the shift from custom tailoring to mass production in the industry. As an experienced tailor and Workroom Manager, Sam works alongside the design and development department, and provides leadership and vision to guide his team members to achieve smooth and efficient production processes, with a focus on high-quality finished costumes. Combining a multitude of skills, including creativity, insight and meticulous attention to detail, costume making has unleashed his creative potential. As each costume is unique, Sam continues to evolve and perfect techniques all the time, elevating his career to the next level. Teresa graduated from The Hong Kong Polytechnic University and The Hong Kong Academy for Performing Arts, majoring in Fashion & Textiles and Applied Art (Costume) respectively. She eventually pursued a professional career in costume design because nothing is more exciting and rewarding than managing the whole execution of her own design. Teresa first joined Limelight as a student, when she was offered a summer job to help supervise the wardrobe crew of a theatre show abroad and has been growing with the company ever since. 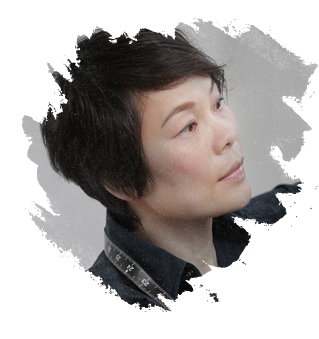 From costume design and manufacturing to managing the wardrobe, she has engaged in numerous local and overseas projects with Universal Studios Singapore, Hong Kong Disneyland, and Ocean Park Hong Kong. She also partook in supervising the wardrobe crew for various Broadway and theatrical productions throughout Asia. As one of the few well-rounded costume designers familiar with complete creation process of a costume, from conceptual work to practical application, she combines her skills and knowledge with practical experience at Limelight. She is not only involved in the design process, but she also sees the importance of collaborating with different team members to ensure the best possible design execution. She draws inspiration from watching theatre shows and performances, visiting museums and looking at paintings and artistic compositions made of various materials, patterns and shapes that create different feelings, ideas and meanings. She especially admires the Art Nouveau style. They make her contemplate how these techniques could be applied and integrated to her costumes. Recently, she attained professional qualification in Haute Couture embroidery at the prestigious embroidery school of Lesage in Paris, enabling her to master all embroidery art techniques. “I’m really happy to be growing with Limelight. With an influx of diverse talents and greater resources, the positive work environment has fostered great team chemistry as Limelight becomes more well-rounded over the years,” she says. Our story began in 2006 in Hong Kong. We started with a team of three people, who are passionate about creating unique and meaningful costumes, and have rapidly expanded to become the world’s leading costume services provider. Limelight boasts a diversified team featuring talents from different backgrounds with different expertise and knowledge that bring forth broader and enriched perspectives. Combining creativity and experience, the relentless drive to achieve design, functionality and comfort continues to be at the core of our costume service. We believe that costume is like a second layer of skin, which is inseparable from the body in performance art. We explore ergonomics, to develop well-fitting and comfortable costumes that support storytelling, while allowing the performers to move freely and communicate their roles without restriction. Over the years, we have delivered exemplary costumes to a multitude of world-class productions ranging from theme park, opera, musical, circus to dance and ballet. We are on a mission to provide a complete range of high quality costume services to the global entertainment industry. From design, production, wardrobe management to tailored costuming consulting services, we embark on a never-ending quest to explore what Limelight can deliver. At Limelight, you can find more than just exceptional costumes. Virginia Chu founds Limelight, building costumes for theatrical productions worldwide. 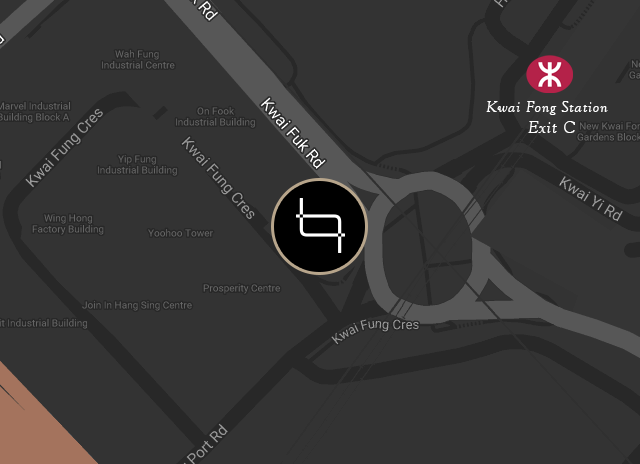 Limelight expands and relocates workshop to Kwai Fong, and is formally named Limelight Costume Services. Witnessing the grand opening of Singapore’s Resorts World Sentosa, Limelight has been making costumes for Universal Studios Singapore’s shows and face characters ever since. Limelight is also the costume designer and builder of the collocating theatre production, Voyage de la Vie. In collaboration with renowned costume designer and lighting experts, Limelight is one of the pioneers in developing and building illuminated costumes for Paint the Night Parade at Hong Kong and US Disneyland. First to introduce Costuming consulting service, offering one-stop costume services for the global entertainment community. Limelight celebrates its first 12-year cycle of the Chinese zodiac; Limelight® is registered. We take our passion for costumes with us as we stride forward into our second 12-year cycle.